GATE 2019 Notification: GATE is an entrance examination for the graduate candidates who belong to the engineering department and commonly known as the graduate aptitude test in engineering. The entrance examination is conducted by 7 different IITs and IISc each year. The GATE Examination is being conducted by IIT Guwahati. 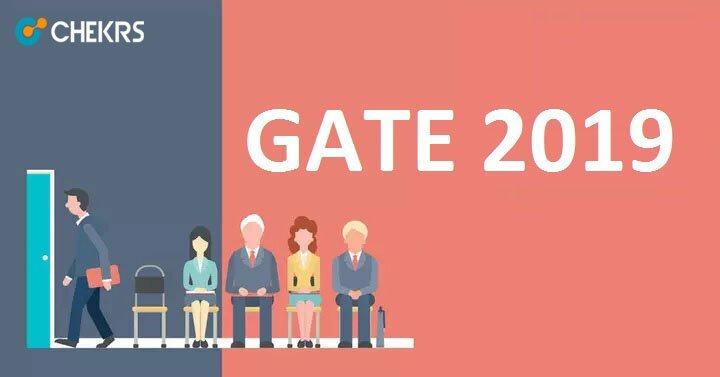 All the applicants who are preparing for GATE are desperately keeping their eyes on GATE Notification 2019. The GATE 2019 Notification PDF is soon going to be released on the official website of GATE. The exam is conducted online at hundreds of centres in India. The candidates who get able to qualify this entrance examination will get admission in IITs as per their rank in GATE 2019. The Top Rank holders will also be called to join PSUs of India. The applicants are suggested to check GATE eligibility first before filling GATE 2019 Application Form. The GATE Official Notification consists of the detailed information about the same entrance examination such as GATE 2019 Syllabus, elgiibility, dates, name of the exam conducting centres, date of announcement of result, selection criteria, GATE Exam Pattern and much more. All students who are going to take participate in graduate aptitude test for session 2018-19 they can download Gate Notification 2019 Pdf. So we will update here all information about gate notification so be update with our website. The applicants must have completed their Engineering degree (4 years completion) after the completion of 10+2 level education. The applicants can also appear after the completion of B.Arch/ B.Sc.- Research/ BS and for the detailed information about the eligibility criteria, students are suggested to check the official notification. GATE Online application form will soon be released on the official online portal of the GATE entrance examination. The applicants are suggested to fill the GATE 2019 Registration Form precisely once after it gets released on the official website. The forms will release in September 2018. From the last few years data, we can predict that the GATE 2019 Application Form Last Date is October 2018. The conducting organisation provides the opportunity to correct the filled details during one week of duration and they can also change the city of examination in this duration.